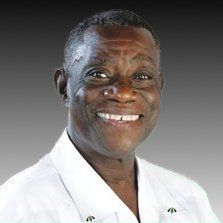 The Chief Executive Officer of Absolute HR Ghana Solutions Sidu Mohammed has described the late Professor Atta Mills as a rare African leader cast in the image of Dr. Osagyefo Kwame Nkrumah. Speaking at a memorial ceremony to mark the 71st birthday of the late Professor Atta Mills, the he charged Ghanaians to emulate him until the nation achieve its set targets. “As we eulogize the good old Professor, may we all take pride in the fact that our democracy produced this noble leader in our time and may we all be inspired to emulate his steps until the day that this nation, under God, achieves the golden dream,” he said. He did not relent in his pursuit even though some sought to ridicule him. He proved to be not only a good sportsman in the disciplines of hockey and football but also in the political sport. As leader of the opposition, he taught his followers to be gracious in defeat and put the nation’s unity and stability ahead of narrow political and personal interests and to live to fight another day. On losing the 2000 and 2004 elections, he never held this country to ransom. Always emphasizing that his political amibition was not more important than the peace, unity and stability of the nation.